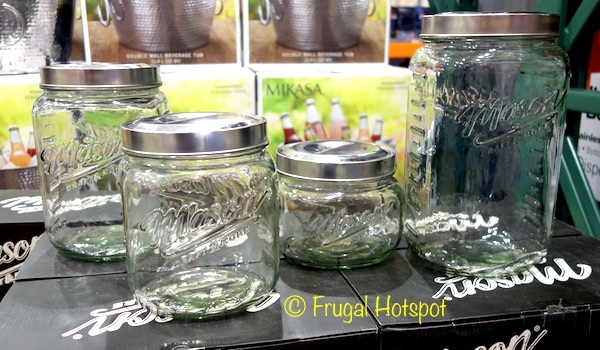 You can use these oversized mason jars to organize your pantry, display your craft supplies or use it for storage. 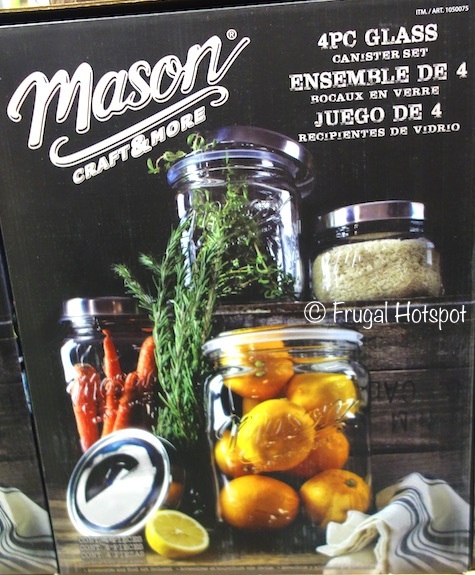 The TTU Glass Mason Craft and More 4-Piece Glass Canister Set can be found at select Costco locations for a limited time. It’s priced at $19.99 at the Covington, Washington Costco. While supplies last. Item #1050075. 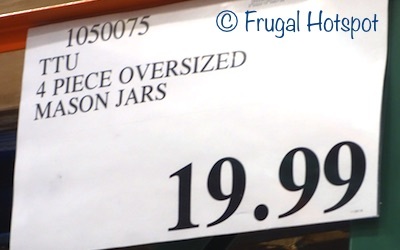 Tip: Do NOT lift the heavy jars by the lid. The lids do not seal securely.